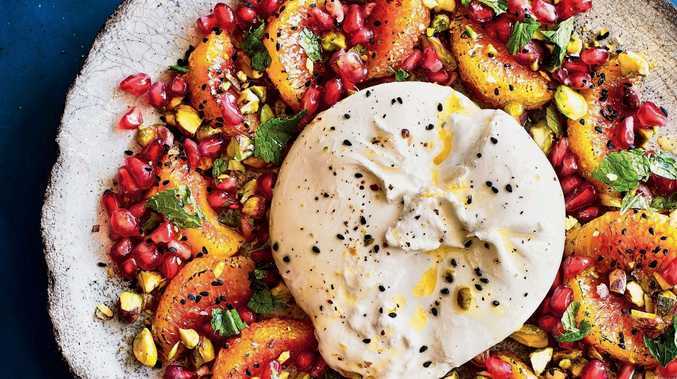 Burrata and burnt oranges with pistachios, mint and pomegranate. AS A child, growing up in a Persian household means endless parties, which we call mehmooni. My family regularly played host, and we would frequently attend big family gatherings, both indoors and outdoors. Those parties, and the feasts we shared at them, became a huge and influential part of my childhood. The overwhelming noise of people animatedly greeting one another as they embraced, and the loud infectious laughter and warmth that were shared are things I will never forget. I am so grateful to have been part of something that I now treasure as a golden era in my life. I remember arriving at parties and being immediately seduced by the exotic smells that filled the house. I would watch platter after platter of elaborately presented dishes emerge from the kitchen, being carried carefully to the table. Once laid out, they would form part of an enormous, colourful spread that would soon be descended upon by dozens of people at once, yet seemed never-ending in supply. When you are a kid at only about table height, you have a major advantage over everyone else - sneaking away little bites before the grown-ups were ready to eat was not terribly uncommon in my case. Feasting plays an important role not only in Persian culture but also in that of the entire Middle East. In ancient terms, what was served and how many exotic dishes and ingredients were offered might have sealed the fate of an entire empire. Feasts have always played an important role in the history of empires across the globe, and the breaking of bread and sharing of meals have long played a part in uniting cultures, communities and families by bringing people together in a convivial and uninhabited way, where all differences can be left aside at the table. To segment the orange, use a small, sharp knife to cut away the top and bottom of the fruit. Rest the orange on the cut surface, then slice away strips of peel and pith to expose the flesh all around the orange. When peeled, slice out segments of orange and discard the leftover skin. 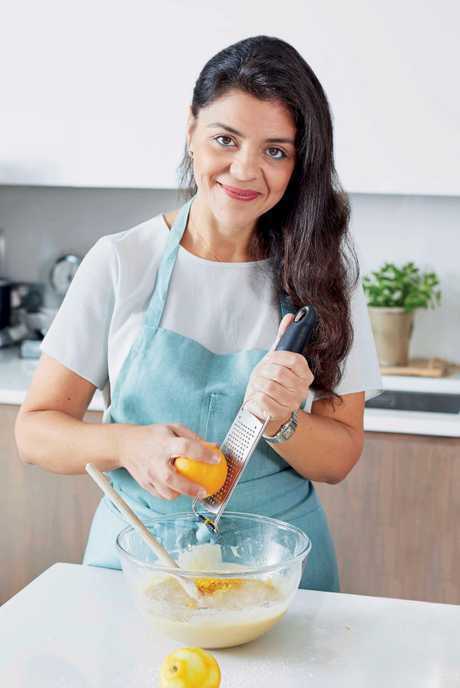 You can use one of two methods to burn the orange segments: either using a cook's blowtorch - blacken the slices on both sides or, alternatively, heat a frying pan on the highest heat available until hot, brush a little oil on to the orange segments on both sides and place them in the pan. Leave them to cook for one minute on each side, or until starting to blacken. Place the ball of burrata in the centre of a serving plate and either leave it whole or (if you're like me) pull it apart into rough quarters (roughly scoring the top makes this easier to do). Arrange the burnt orange segments on the plate and scatter over the pomegranate seeds, pistachios, nigella seeds and sumac. Drizzle generously with olive oil, season with salt and pepper, scatter over the torn mint leaves and serve. 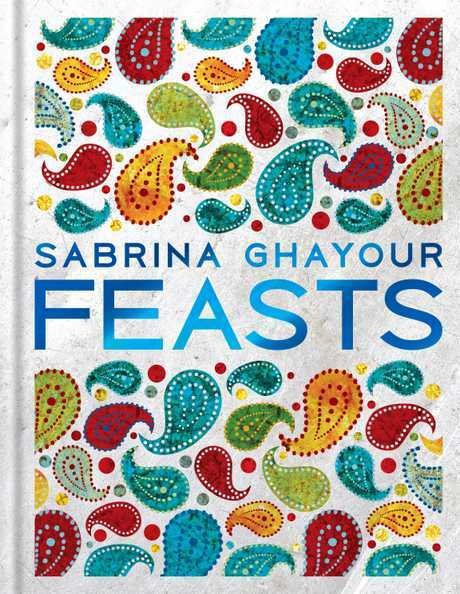 This is an extract from Sabrina Ghayour's Feasts, published by Hachette Australia, available now, RRP $39.99. 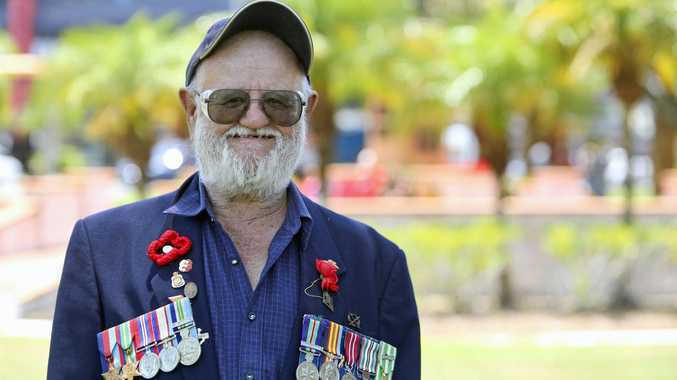 Photographer: Kris Kirkham.